and for looking after work equipment. Select and install plant and equipment properly, use it carefully, and make sure it is maintained to meet the Provision and Use of Work Equipment Regulations 1998. 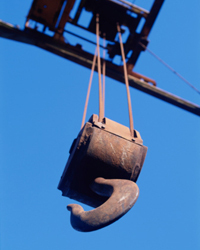 Lifting equipment and lifting operations are subject to additional requirements, including periodic thorough examination, by the Lifting Operations and Lifting Equipment Regulations 1998. By design and construction all work equipment must be safe and not give rise to risks to health when first placed on the market or put into service. HSE and other Market Surveillance Authorities have powers to take action where new products are defective. Subscribe for free email newsletters and notifications - news and updates on Equipment at work. The health and safety toolbox Do you want guidance on simple precautions to take when working with or near machinery, plant or equipment? Machinery, plant and equipment website There are different safety aspects of using machinery and maintaining plant and equipment in the workplace. Do you want detailed guidance on work equipment and machinery?